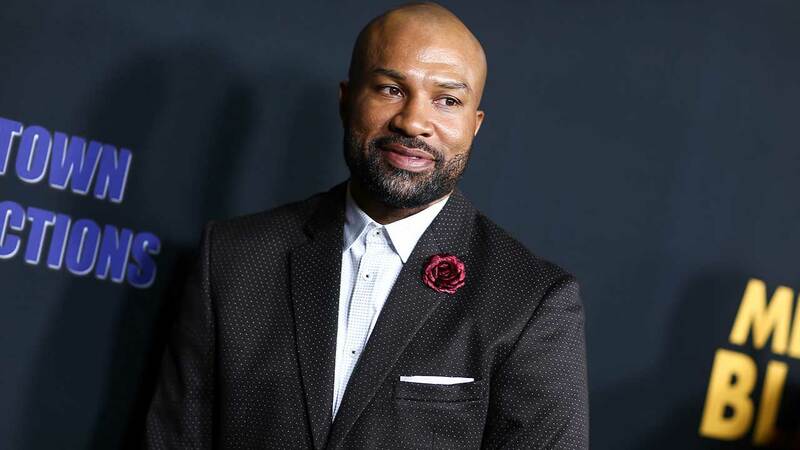 SHERMAN OAKS, LOS ANGELES -- Former Los Angeles Laker Derek Fisher was arrested on suspicion of DUI after his vehicle overturned on the 101 Freeway in Sherman Oaks early Sunday. Fisher and his passenger, former "Basketball Wives" reality star Gloria Govan, were not injured. The crash was reported shortly after 3 a.m. on the 101 West near the 405 Freeway interchange, according to the California Highway Patrol. The 42-year-old former New York Knicks head coach was driving a 2015 Cadillac when the vehicle veered right and onto the paved right shoulder. The Cadillac continued across the right shoulder and hit the raised concrete curb and wood/metal guardrail. The impact caused the Cadillac to overturn, and it came to rest on its roof, blocking two lanes of the northbound 101. Fisher and Govan, 32, were helped out of the vehicle unharmed. Officers discovered that Fisher had been drinking, the CHP said. He was arrested on suspicion of driving under the influence of alcohol without incident. Anyone who witnessed the crash was urged to contact CHP's West Valley office at (818) 888-0980. Fisher played in the NBA for nearly two decades, spending a majority of his career with the Lakers. He was an integral part of five NBA championships with the team.